The U.S. and world data is more critical than ever the week before the U.S. election. This past week, the American economy added fewer jobs than economists had predicted while the Fed chose to say out of the limelight and held off on interest rate increases yet again. Britain's post Brexit inflation input indicators began to show an upcoming boost to inflation while growth looked stronger than expected in the U.K. Economists weighed the historically better results in the stock market of a Republican versus Democratic Presidential win. The uncertainty has reached a fever pitch immediately before the election. This is the best reason of all to hold onto your retirement gold positions. Economists had expected the nonfarm payrolls in the U.S. to increase by 175,000 for October according to the Reuters survey. Instead, the American economy only managed to add a lower than predicted 161,000 for the month. The unemployment rate did come in at 4.9 percent as economists had predicted. The unemployment number including discouraged workers and underemployed part time workers declined to 9.5 percent, which represented the best number since April of 2008. There was both positive and negative news beneath the headline numbers. The average hourly earnings managed a 10 cents, or 2.8 percent increase on a year over year basis per the Bureau of Labor Statistics. Yet the important measure of average weekly hours worked came in unchanged at 34.4. The household survey did not show such strong economic results. Full time positions dropped by 103,000 while part time jobs made up most of the the job gain of 90,000. Government jobs displayed a net gain of 22,000. Workers not included in the labor force dramatically increased by 425,000 to 94.6 million people. This brought down the labor participation rate to 62.8%, a dismal level not seen since the late 1970s. Manufacturing is an especially bleak component of the job report. Financial markets have waited all year for the much touted and anticipated rate hike of 2016. Yet at the next to the last meeting of the year in November, the Fed again held off delivery of the promised increase. They did say that the case for a rate increase is growing stronger, even while the FOMC dovish majority picked up another vote. There was no direct mention or even strong hint of an interest rate increase for the December meeting either. Instead of providing the long delayed rate hike, the Fed offered a statement that admitted there are still not enough economic improvements to continue the tightening begun weakly with a single rate increase in 2015. “The committee judges that the case for an increase in the federal funds rate has continued to strengthen but decided, for the time being, to wait for some further evidence of continued progress toward its objectives,” the FOMC said in their end of two day meeting statement. Analysts blame the real reason for the Fed holding off on the election and the uncertainty the tight race has created. “They punted because of the growing uncertainty around the U.S. election,” said Chief Investment Strategist Michael Arone of State Street Global Advisors. This past week, the long feared post-Brexit inflation indicators began to appear in U.K. data. Tuesday's release of the Markit Purchasing Managers Index revealed rising input prices that reached their greatest level for five years. This nearly put them at the all time high for the survey that started tracking such costs for businesses in 1992. While the inflation has not yet fed through to the actual inflation indicators, this surging input costs affecting manufacturers in the U.K. warns of the pending inflation threat soon to hit British businesses and eventually consumers. It demonstrates the difficulties the Bank of England is grappling with for the next several quarters in keeping the economy stimulated while not overshooting its 2 percent target on inflation. “The data highlight the impact of the large depreciation of sterling. On the one hand, the depreciation of sterling supports U.K. exports as it makes them appear cheaper once expressed in foreign currency. On the other hand, the depreciation of sterling is significantly increasing the cost of (imported) inputs into the production process,” UniCredit economist Daniel Vernazza wrote to clients in a note. For now, the Bank of England opted to leave the interest rates where they were and the purchases of assets unchanged this past week in a unanimous vote. The rate remained at its all time low of .25 percent, government bond purchases stayed at 435 billion pounds, and corporate bond purchases continued at 10 billion pounds as economists expected. The central bank did this with a backdrop of higher inflation predictions as well as higher near term growth. The Bank of England has been quick to admit that British inflation will surpass their 2 percent target over the coming 12 months and only start to drop back in the second half of their forecast for three years. They are now expecting inflation to touch 2.7 percent by Q4 2017 and remain that high in 2018. This 2018 year forecast was raised from the previous 2.4 percent. JPMorgan Chase's Anthony Chan has researched to see which party's White House victory is better for stocks and revealed his findings today. Stock markets in the U.S. outperform for November and December when Republicans win the election. “I've looked at presidential elections all the way back to 1932. So you do see some differences between November and December across presidential election cycles,” Chan said. Chan's analysis showed that when Democrats win the Presidential election, the stock market posts an average decline for November of .9 percent and a 2 percent recovery for December. In the cases where Republicans won, stocks average consecutive gains of 1.7 percent for November and .9 percent for December. Chan's numbers reveal that the stock market historically gives a 1.5 percentage points greater return for the final two months of the year when the Republicans prevail. Keep this in mind as you await the U.S. election results. 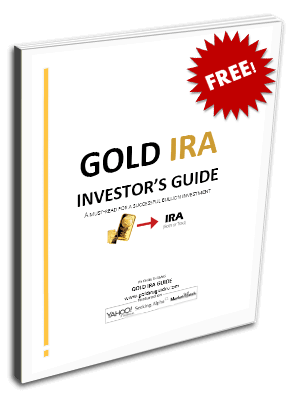 Whoever wins, gold is still excellent diversification insurance for your portfolio.